Nokia 808 PureView Hitting the US Today? The Nokia 808 PureView, the best camera phone on the market (at least where megapixels are concerned) will be making it’s debut today on the US Market. Why is this interesting…. I have 41 reasons million reasons! OK well not exatly 41 million reasons however the Nokia 808 Pureview IS interesting to most geeks and camera enthusiests because of its 41 megapixel camera it sports. And no — that is not a typo. 41 megapixels! 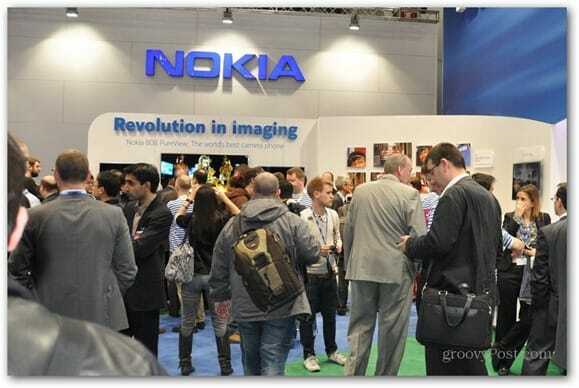 According to sources, Nokia should be making the announcement no later than this afternoon sometime. The same sources said the company has been suggesting something related to the megapixel-ish phone since yesterday in a cryptic post on its official Facebook account so it looks like it will finally drop. One odd thing about the phone (other than the insane camera) is that although Nokia is going all-in with the Windows Phone OS (an OS that predictions say will grow a lot in the future), it runs Symbian. Huh? Yeah, we thought that was dead as well. But since the phone has been around for a bit and already for sale in Europe and Asia, it makes sense. But honestly, people won’t be buying this mobile phone for the OS or for its looks for that matter – it’s pretty bulky. It’s a phone you’ll be buying for the camera, a whopping 41 megapixel one. In terms of megapixels, it’s the best camera you’ll find in a phone at the moment. What’s interesting is that the PureView is also available for pre-order in the UK on Amazon.co.uk for close to 500 British Pounds (which is around $ 782). Nothing on what the price will be in the US but with a camera like that, it won’t come cheap. Other than bragging rights, those Megapixels will largely be going to waste because they’re looking out through a tiny fixed lens of likely less-than-stellar quality. Call me old fashioned, but I get the best results by using a camera to take pictures. You can purchase a Canon EOS t3i for a it more than half the cost of this phone. 41 Megapixel mobile phone…. omg. Here’s my 2 cents… If you want a phone, buy a phone. if you want a camera buy a camera. anything in between is just an abomination. Yeah but at least for my iPhone, I’m finding I’m talking a lot more photos and video with it than ever before. Is this because my phone is a better camera that my Canon 7D ($2000 Photo and Video Setup)? No. It’s because it’s always with me and available to always capture the shot. A 41 megapixel picture is going to take up a humongous amount of bits and bytes for storage and unless you are planning to print a roadside billboard, why would you need that much?? But then, if the camera has no optical zoom and you only want a very small section in the center . . . .